Books about film directors fall broadly into three categories: biographical, industrial (behind the scenes), and theoretical. David Lynch, an artist whose experiments in popular surrealism have seen him move in and out of public favour and critical acclaim, is a director whose oeuvre repays thoughtful work in all three. 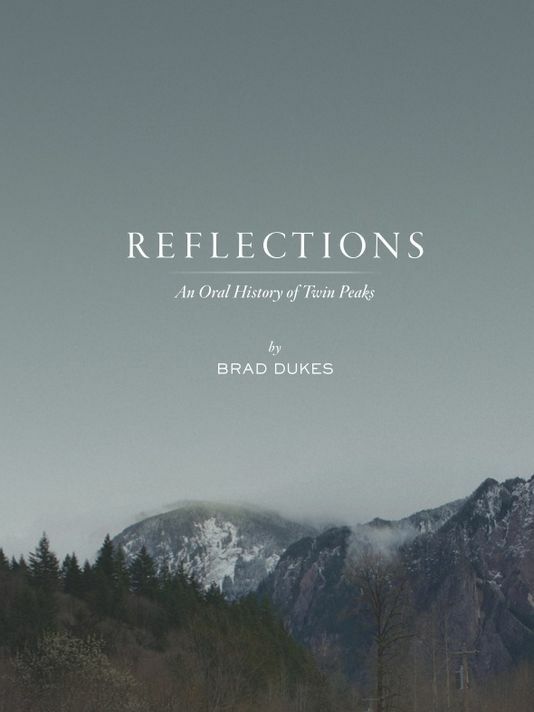 Two new books — Reflections: An Oral History of Twin Peaks, by Brad Dukes (short/Tall Press, 2014), and David Lynch Swerves: Uncertainty from Lost Highway to Inland Empire, by Martha P. Nochimson (University of Texas Press, 2013, recently out in paperback) — are cases in point. Reflections is a dogged book, a remarkable example of what fanatical devotion to research can produce. Dukes tells the story of Lynch and Mark Frost’s game-changing television show (“this sublime mayhem” in Michael Ontkean’s phrase) from the first kernel of an idea through its initial runaway success to its cancellation and the critical savaging received by prequel movie Fire Walk With Me (1992). He’s interviewed dozens of actors, directors and production team members, including almost all the main cast (though Lynch himself is silent). The attention to detail is extraordinary. Casting sessions and individual days of filming are recalled. There’s an interview with the co-founder of COOP (Citizens Opposed to the Offing of Peaks), a grassroots organization that helped keep Twin Peaks going in its darkest hour. Richard Beymer talks us through his outrageous brie baguette-eating scene in Episode 2. Angelo Badalamenti has a great story about the Queen of England not having time to talk to Paul McCartney because she was worried she’d miss an episode. There’s even a whole chapter on Invitation to Love, the mock soap opera that some of the show’s characters follow in Season 1. But for all the fond recollections, the value of Reflections is in its behind-the-scenes revelations. As one executive commented when he saw the pilot, after Twin Peaks, “tried and true was dead and buried”. What made the show so original — its flights into Tibetan mysticism, dreams and transcendentalism; its emotional intensity; its complex narrative arcs — is commonly attributed to Lynch, despite the fact that he directed only six of its thirty episodes. But his authority was compromised in other ways too. Network television could never permit the freedoms afforded to him while making movies like Blue Velvet or Mulholland Dr. The resolution of Twin Peaks’s central enigma, “Who killed Laura Palmer?”, was coerced out of the show’s makers by ABC. A storyline that might have seen a romantic relationship develop between Agent Cooper and Audrey Horne was vetoed by Kyle MacLachlan. The final episode, one of the strangest ever seen on network television, was directed by Lynch in the knowledge that the show was unlikely to be renewed for a third season. Any comprehensive reading of Twin Peaks must surely be affected by all this information — and much else that fills Dukes’s comprehensive volume. But to what extent? 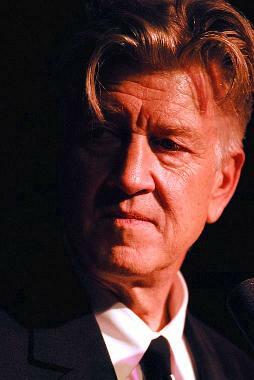 Of course, Lynch has often turned industrial pressures to his advantage. Mulholland Dr. was an aborted TV pilot that became one of his best-received movies, earning him a best director award at Cannes and an Academy Award nomination. Inland Empire, his most challenging film, was only really made possible by the advent of cheap digital video, which facilitated the piecemeal, experimental techniques that produced it. Just as Reflections allows us to consider the possible impact of industrial considerations on the narrative arc of Twin Peaks, so what we know of the making of Lynch’s two most recent movies must surely affect how we interpret them. What’s the big idea? Well, unexpectedly, quantum mechanics. Borrowing physical concepts including entanglement (“in which multiple particles respond to stimuli as if they were one as well as many”) and superposition (which “allows for one particle to be in two places at exactly the same time”), Nochimson develops a strong case for adopting a totally new framework for understanding Lynch’s second-phase work. This framework avoids the reductiveness of the “dream” reading of Mulholland Dr. or the standard interpretation of Lost Highway, in which Pete is a mere phantasm of Fred. As Nochimson points out, most critics ignore what actually happens onscreen in order to reach these conclusions. Alice and Renee (as played by Patricia Arquette in Lost Highway) don’t entirely not co-exist, for instance, but instead — she argues — behave like particles in superposition, as both “she” and “they.” Similarly, Betty and Diane in Mulholland Dr. are both the same and different: Betty and Betty/Diane rather than simply Betty and Diane. “Boundlessness” is a key concept for Nochimson and one that’s connected to Lynch’s own fascination with transcendental meditation (see Catching the Big Fish and the David Lynch Foundation). Quantum mechanics, with its openness to a physical world of improbable possibility, turns out to be the perfect metaphor for exploring this boundlessness. Lynch’s work depicts what lies beyond what Nochimson calls the “marketplace”, an oppressive place that seeks to limit individuals through its definition of a fictional “reality”. For Fred and Fred/Pete, and Betty and Betty/Diane, breaking through into a joyous boundlessness is too difficult. That is their tragedy. But the limitless expanses outside the marketplace can be a source of bliss. This is certainly the case for Lynch’s most recent heroine, Nikki Grace (Laura Dern, in Inland Empire), who emerges from the film’s labyrinth into a state of pure joy in the film’s raucous end credits, set to Nina Simone’s “Sinnerman”. The richness of Nochimson’s writing, the thoroughness of her interpretation, and her assured stance in opposition to the canon of Lynch criticism to date all make David Lynch Swerves a must-read for anyone interested in his films. Or, for that matter, the state of film criticism in American culture. If criticism at its best is a form of revelation, then this is practically a new gospel. 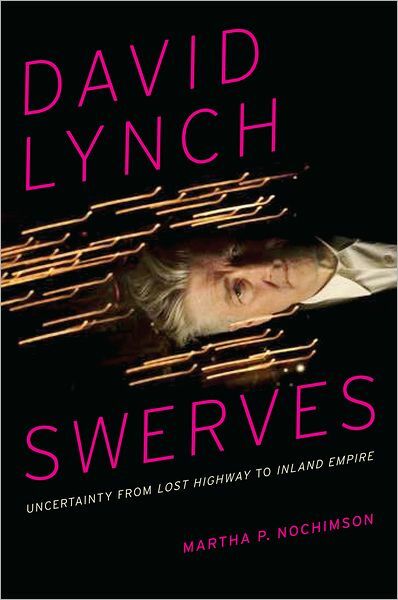 You can buy David Lynch Swerves: Uncertainty From Lost Highway to Inland Empire and Reflections: An Oral History of Twin Peaks at McNally Jackson. For an exhaustive biography of Lynch, check out Greg Olson’s excellent David Lynch: Beautiful Dark (Scarecrow Press, 2008). ← Do The Movies Have A Future?